Bria’s Book | Advocacy Group in Philadelphia | LiteracyNation, Inc. Welcome to Bria’s Books, an eternal page of amazing books I hope you will enjoy. 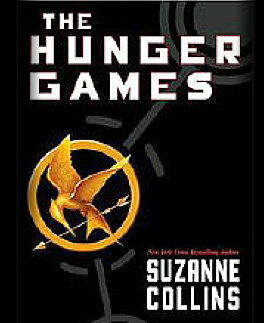 Katniss Everdeen tells the story of her experience in Panem during the time of the Hunger Games. Panem consists of 12 districts and used to be North America until The Capitol took over. The Capitol is the wealthy part of the nation which holds complete dominance over Panem. Every year, Panem holds an annual Hunger Games. One boy and one girl from each district are randomly selected to be placed into an arena where they will fight for their lives until there is one left standing, the victor. We are a not for profit organization which sets up a library on the street corner in West Philadelphia. We value your opinion, suggestion, or any inquiries that you have for us. Please don’t hesitate to get in touch with us to learn more about us.